A legislative working group tasked with recommending possible sites for “safe zones” for homeless encampments on state land in Honolulu will expand its search islandwide — and potentially statewide — after ruling out a few vacant parcels in the city’s urban core. Star-Advertiser. A growing number of state and county officials are talking about safe zones, designated areas where homeless people could camp legally. Civil Beat. Just days after closing Kakaako Waterfront Park indefinitely, state crews are assessing the damage left by homeless campers. And they say it's worse than they expected. Hawaii News Now. Officials show off park damage blamed on homeless campers. Repairs to dozens of broken fixtures and other vandalism throughout Kakaako Waterfront, Gateway and Kewalo Basin parks will total an estimated $500,000. Star-Advertiser. Hawaii Community Development Authority's decision to close Kakaako Waterfront Park to the public has frustrated park users. On Thursday, HCDA took local media on a tour of the state park to point out why the closure was necessary. The state agency manages the park and said illegal campers racked up at least $500K in hazardous damage. KITV. 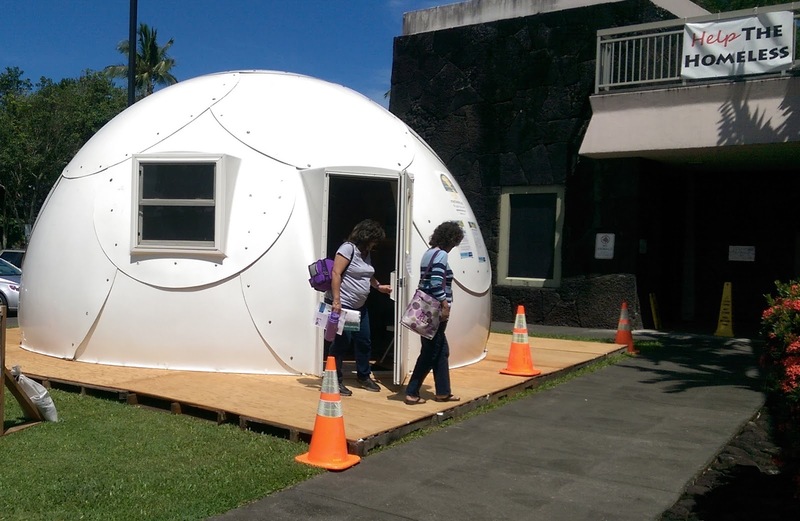 Prescribing Hope: A small Hawaii team is helping the hardest to house. There are more than 200 homeless people who suffer from severe mental illness on Oahu. They are among the hardest to help off the streets. But the state’s only psychiatric street medicine team, launched in January, is seeing successes with these seemingly impossible cases. Hawaii News Now. State Transportation Director Ford Fuchigami will leave his job for the new post of administrative director for Gov. David Ige beginning Nov. 1, the governor’s office announced Thursday. Star-Advertiser. Gov. David Ige has hired Department of Transportation Director Ford Fuchigami as his administrative director. Civil Beat. The state is hosting a Telehealth Summit this week with the goal of developing statewide coverage. Telehealth connects a patient and a doctor using computer technology through the internet. Hawaii Public Radio. The U.S. military’s love-hate relationship with China was recently on display with the Pearl Harbor destroyer USS Chafee at the center of it all. Star-Advertiser. There’s space for Southwest at isle airports, state says. A state Department of Transportation official said Thursday the previous day’s announcement that Southwest would begin selling tickets to Hawaii next year “is already generating tremendous excitement." Star-Advertiser. Glenn Hong, head of Young Brothers Ltd., the state’s largest interisland cargo carrier, is leaving the position to join parent company Saltchuk on Jan. 1. Star-Advertiser. The National Oceanic and Atmospheric Administration has established a hotline accessible from any island to take reports of Hawaiian monk seals, sea turtles, dolphins and whales in need of emergency assistance. The 24-hour number is (888) 256-9840. Star-Advertiser. Contractors continued work Thursday to safely remove fuel and other pollutants from a grounded 79-foot fishing vessel off Kaimana Beach in Waikiki — and the Coast Guard aims to have the entire craft removed from the area today. Star-Advertiser. Honolulu police teamed with Hawaii Pacific University Thursday night to spread the message of safety. KHON2. A popular new Waikiki restaurant in the International Market Place voluntarily closed today due to suspected norovirus, Department of Health spokeswoman Janice Okubo said. Star-Advertiser. The popular Waikiki eatery Herringbone shuttered its doors on Thursday after several diners reported falling ill after having patronized the restaurant. Hawaii News Now. The second Hawaii Embassy Suites by Hilton, hotel which opened three weeks ago, aims to accommodate business travelers and individuals looking for another lodging option in Kapolei. Pacific Business News. Commentary: Why Is It So Hard To Find Police Commissioners? The Caldwell administration says people are turning down the offer but some commissioners say the mayor isn’t willing to fully open the selection process. Civil Beat. Raises are coming to top county officials, but exactly how much was a topic of some debate at a Salary Commission meeting Wednesday. West Hawaii Today. Students and faculty are protesting the prospect of cuts to the University of Hawaii at Hilo’s performing arts and humanities programs, which they say includes a proposal to eliminate the campus’ popular jazz orchestra. Tribune-Herald. Despite a heavy downpour, more than 300 people came out Thursday for the Puna Kai shopping center groundbreaking in Pahoa. Tribune-Herald. Bongs And Bare Breasts Outnumber Cellphones At This Beach. A drum circle is only one of the Sunday attractions at a Big Island beach where millennials and ageless hippies mingle. Civil Beat. A Campaign Spending Commission complaint against Mayor Alan Arakawa alleges that his wife, Ann Arakawa, contacted nonprofit and community groups to get them not to cooperate with the commission’s two-year investigation into the mayor’s campaign expenditures from Nov. 5, 2014, to Dec. 31, 2016. Maui News. Maui Mayor Alan Arakawa is accused of breaking campaign spending laws by misrepresenting more than $6,000 in advertisements that his campaign bought. Associated Press. Maui Electric proposed a 9.3% increase in base rates, or $30 million, to help pay for operating costs, including system upgrades to increase reliability, integrate more renewable energy, and improve customer service. Maui Now. Maui Electric Co. is proposing a 9.3 percent increase to its base power rates — its first such increase in nearly six years — to help pay for operating costs, including system upgrades to increase reliability, integrate more renewable energy and improve customer service, the utility announced. Maui News. The State Commission on Water Resource Management heard final arguments on a petition to establish minimum flow standards for more than 20 streams diverted by Alexander & Baldwin subsidiary East Maui Irrigation. Maui Now. A sewage spill released about 50,000 gallons of wastewater in an unoccupied area off Keoniana Road on Wednesday, and some could have gotten to the shoreline. Garden Island. DMK & Associates LLC will resume roadwork in the Ulu Mahi Subdivision from 8 a.m. to 4:30 p.m. on weekdays, from Oct. 16 through Nov. 17. Garden Island. Back to nature. Huleia refuge tour one of many events during National Wildlife Refuge Week. Garden Island. The Lanai Landfill will be closed at 1 p.m. today and Saturday because of insufficient staffing, the Department of Environmental Management’s Solid Waste Division said. Maui News. Labels: Campaign Spending Commission, China, Ford Fuchigami, Gov. David Ige, homeless, Kakaako, Maui Electric Co., Maui Mayor Alan Arakawa, NOAA, University of Hawaii, Young Brothers Ltd.